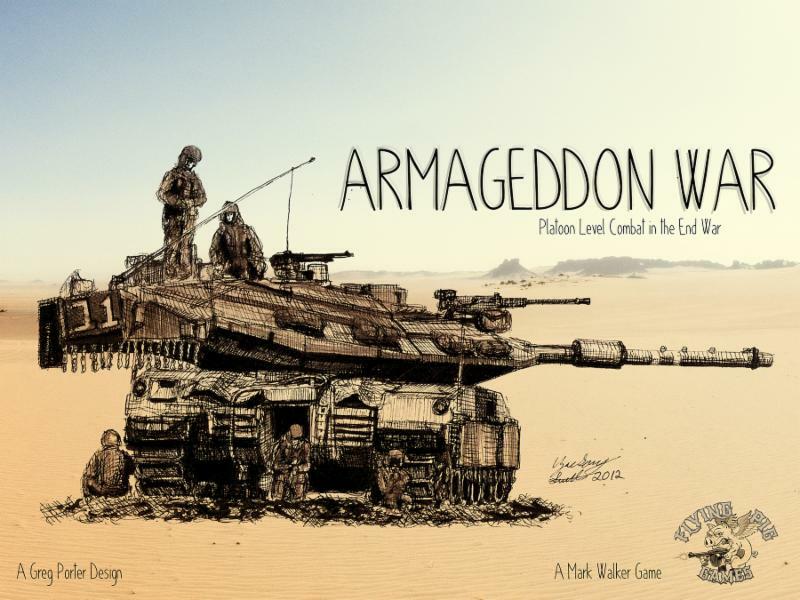 The Boardgaming Way Flying Pig: Armageddon War Now Shipping! Flying Pig: Armageddon War Now Shipping! If you haven’t pre-ordered Armageddon War for almost 25% off, do so now. We will raise the pre-order price to retail as soon as we finish shipping the Kickstarter and pre-order orders. 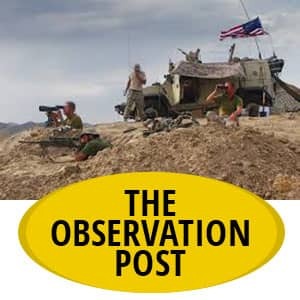 Our fulfillment company, Quartermaster, says that ALL Armageddon Wars will be shipped by the end of the week. That means that ‘Muricans will be receiving their games as early as the end of this week, and certainly by the end of next. For our Canadian friends, the games are at Starlit Citadel, we are waiting their update for when the shipping begins. Europe and other places. GamesQuest has your games and will begin shipping this week. It’ll probably take a week or so to ship everything. 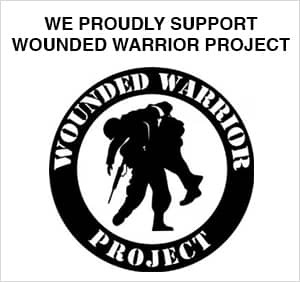 For more information on Armageddon War or to place a preorder, visit the Armageddon War page. Just click here. 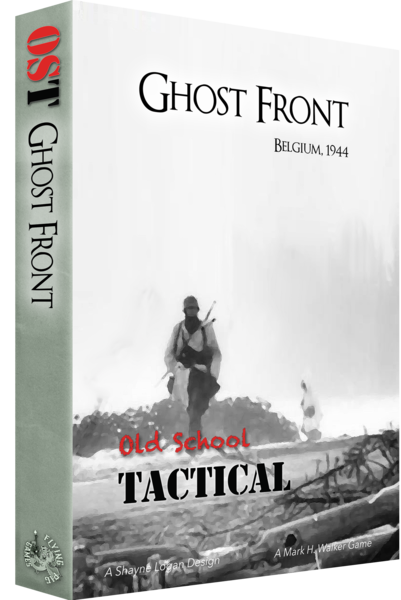 Ghost Front, the Battle of the Bulge expansion to Old School Tactical Vol II is NOW available for preorder! The game will be in stock and shipping 3rd quarter 2018. 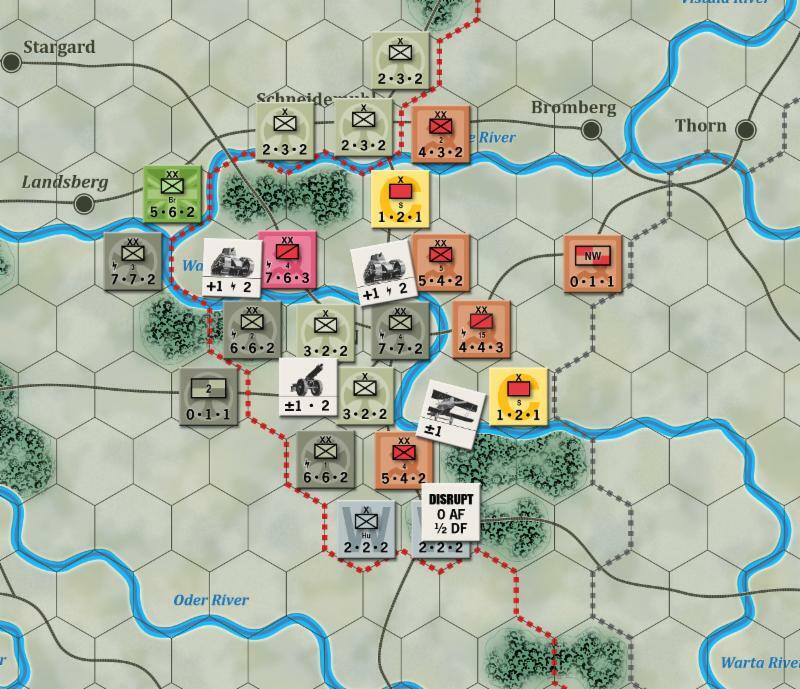 Ghost Front is the second expansion to Old School Tactical Vol II, covering the German’s Ardennes offensive of 1944. This boxed expansion includes a new, 30″ x 41″ mounted map board depicting snowy Ardennes terrain, a new sheet of counters with new SS and American units, unit data cards, and an 11-scenario booklet. Click here to get yours. Yaah # 11 and Strike for Berlin Now Shipping! Yaah! 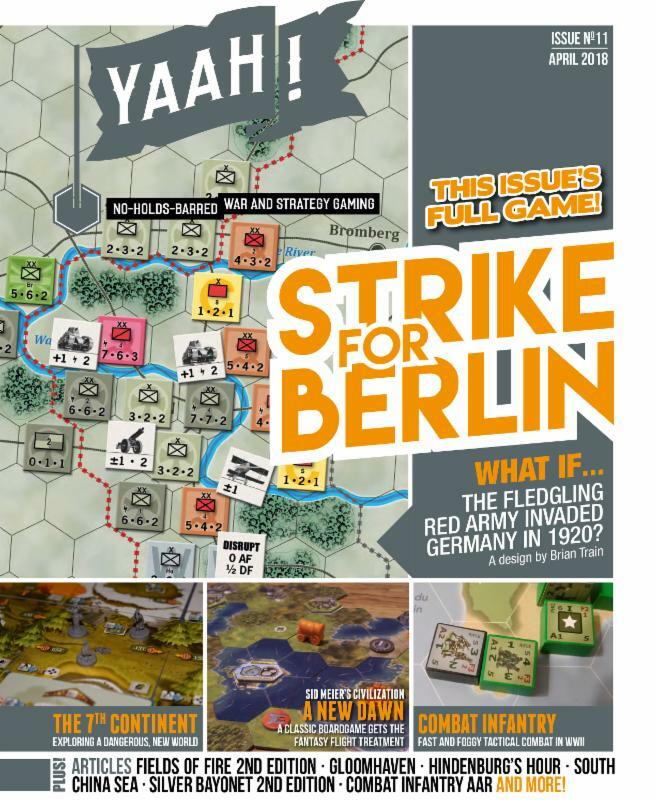 #11 , with the issue game, Strike for Berlin, designed by Brian Train, is in stock and shipping. What’s Strike for Berlin? Well, if you’ve ever wondered what would have happened if the Red Army had managed to win the Battle of Warsaw in 1920 – and then decided to take the Revolution into Germany – this is the game you’ve got to get on the table. In addition to the game, this issue is chock-full of those great gaming reviews that we all love. Brad Smith shares his take on GMT Games’ second edition of Fields of Fire, while Norm Lunde takes a look at South China Sea from Compass Games. Newcomer Zachary Homrighaus takes a deep dive into The 7th Continent, and another new writer, Joshua Buergel, heads into the dungeon with a look at Gloomhaven. The solitaire game Hindenburg’s Hour gets a review from Eddie Carlson, Roger Leroux tunes into the convention scene in Canada – and then Roger and Eddie tag-team Columbia’s new Combat Infantry with a review and an AAR. Nick O’Neill paws through all of the bits and pieces in Sid Meier’s Civilization: A New Dawn, and Keith Beason rounds out our bucketful of reviews with his in-depth look at the 25th Anniversary Edition of Silver Bayonet. It’s 76 pages of gaming goodness that you don’t want to miss! Get yours now.